All it takes is one spring day full of sunshine and I'm ready to dig in the dirt and plant! Although it's definitely time for me to do my spring vegetable planting, we're still finishing up the painting of our new garden fence, so off to the nursery we went. During the past couple of years, we've planted a few blueberry bushes and a peach tree (which is blooming so prettily at the moment), but we still feel the need to add some additional fruit bearers. So home we came with a good sized apple tree and some more blueberry bushes. It seems a long way off to think of our trees producing fruit, and yet I have a feeling it will be here in a blink of an eye. We also came home with six flats of annuals for the front porch flower boxes. We plant Vinca every spring - even at our previous home - because we've found it to be wonderfully tolerant of shady porches. The forsythia is blooming and what a welcome sight it is. Its happy yellow flowers are a cheerful reminder that spring has arrived. 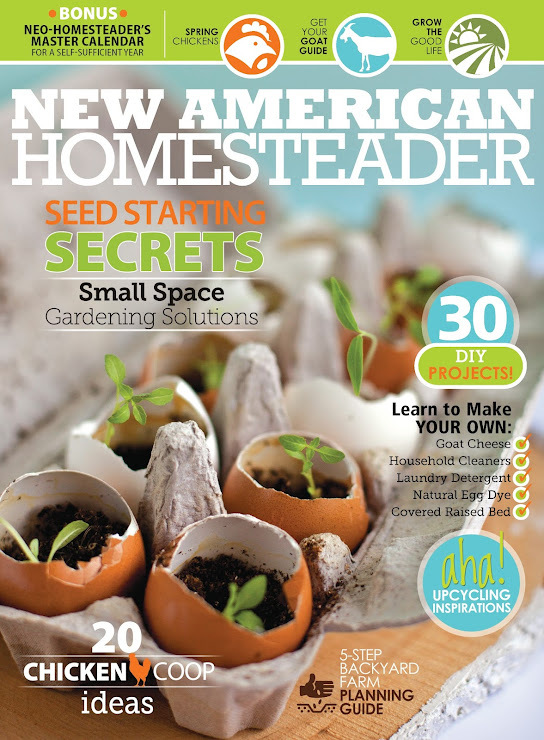 I had the privilege of contributing to a magazine on newsstands now called New American Homesteader. As you can probably tell from the title, this magazine is all about taking little steps towards becoming a little more self-sufficient, no matter where you live, from gardening to raising chickens to making your own cleaners and more. I think it's safe to say this is a topic that is a little dear to my heart since these are steps we are gradually taking on our little homestead. They have been very small steps so far, taken one at a time, but they have all been rewarding. I don't just speak of the natural benefits either, like homegrown produce and fresh eggs. 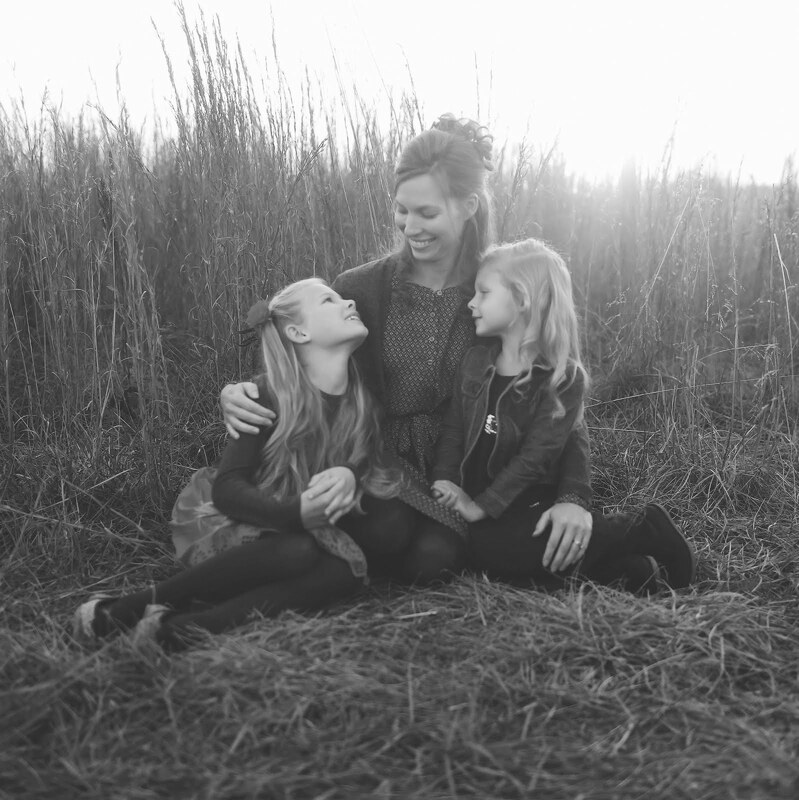 It's so much more - spending time together as a family, enjoying nature, teaching our girls where our food comes from and responsibilities, learning to be more content and thankful for what we have, even in the simplest of things and not just material either. There are a few photos you may recognize in the magazine and there's also a little feature on our family. I'm thankful for opportunities like this that have come from my blog, but I want to mention again that I would not still be blogging today if it were not for you all. You'll never know how your thoughtful words have encouraged me. Since purchasing our vintage silver-plate flatware a couple years ago and using it daily, I've found the maintenance to be a little more time-consuming than stainless steel, but well worth the simple pleasure of using something so beautiful every day. I feel a little backwards - our old stainless steel flatware is tucked away for larger gatherings whereas the silver gets used every day. But somehow I just never tire of opening the silverware drawer to this view, particularly after it's been freshly polished (smile).